Being Green is something that caught the public’s eye several years ago and seems to be fading a bit from most new homeowner’s viewpoint, with cost and durability coming center stage. Architects and Engineers, however, continue to pursue sound environmental and ecological and energy-wise solutions as part of the buzzword: Green. Back in 1974, when Rand Soellner, ArCH, NCARB, LHI was in an architectural college at a major university, the current popular “Green” movement of today was labeled: Energy Efficient, Ecological and Environmental. It seems that when some media people decide to put a new label on something and popularize it, the public often thinks it is something new. It isn’t. Architects have been designing energy-efficient and ecological architecture for decades, if not for hundreds, even thousands of years. But not all Architects and not in all locations. Rand Soellner, senior staff Architect with HOME ARCHITECTS ® remembers designing projects back in the 1970s that had solar collectors on their roofs, substantial roof overhangs to control when and if the sun came through the windows of homes and buildings, and more efficient insulation levels. Soellner also was the Architect of Record who selected the building site, programmed, master planned and conceptually designed the New Florida Solar Energy Center for the University of Central Florida, at their Brevard, Florida campus. You can’t get much “Greener” than that. It is the bottom image on this webpage: Solar Energy Center. So when clients come to Soellner and his company these days and ask if he designs “Green Homes,” he smiles and says: “Sure thing! Can do.” Most of the “Green” entities of the 21st Century almost all came after Soellner’s research and design efforts in this regard. There are holes in their procedures and his firm believes that they don’t go far enough. His firm’s energy-efficient designs and specifications are “greener” than most designs these days, even if they “comply” with minimum codes. “That’s one of the reasons people come to an Architect to have him design their house,” said Soellner: “to design into the residence, features that will hopefully keep it standing when winds of a certain speed and other environmental forces slam into the house.” He also believes that improving the energy efficiency of a house helps his clients to better afford rising energy costs in the future. It appears that energy costs are continuing to rise, not reduce, so having your house sip electricity and other energy forms, rather than guzzle it, is a real benefit. Is this Green? Absolutely. There are other things that your residential Architect can build into your house to help deal with the environment in a compatible and friendly manner. 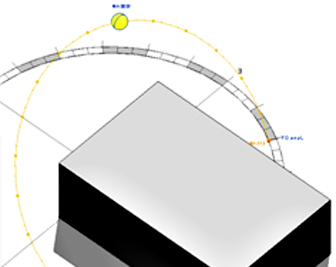 For instance, Soellner’s firm designs generous roof overhangs, in coordination with special solar 3D software that illustrates how shadows pass over the project during the day, every day of the year, so that the architectural company can adjust overhangs to keep out most of the summer sun, while inviting in the winter sun, to help heat the house. 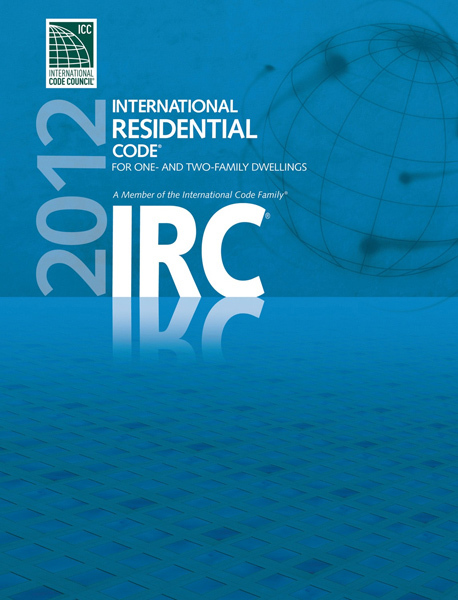 (C) Copyright 2005-2013, Home Architect, PLLC. 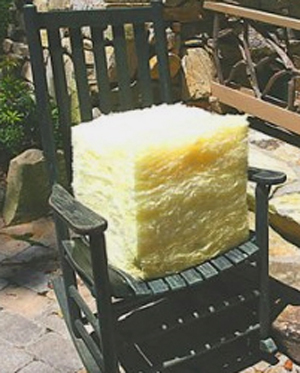 This architectural firm illustrating the much greater thickness of the insulation they specify. Also, super wall insulation, including an energy skin outboard of the wall studs, to thorougly insulate the walls and deal with thermal bridging that happens with most conventionally built houses. See the firm’s SupR-Wall for more information on this here: SupR-Wall. The idea with all of this architectural company’s methods is to have the house and its systems and materials to last longer, which not only saves their clients Life Cycle Cost cash, but also reduces the carbon footprint of that house from “cradle to grave.” The less that things have to be replaced, in general means that the more environmental it is, when also factoring in embodied energy (the amount of energy required to produce something). Instead of having one large dumpster on this architectural firm’s projects, Soellner specifies that there are to be 2 smaller dumpsters: one for landfill waste materials, the other for recycling. The things that go into the recycling dumpster are wood, plastic, steel and other items that can be effectively used. In essence, “garbage” goes into the landfill dumpster and just about everything else, like odd scraps from cutting wood board and the like go into the recycling dumpster. It is amazing that this practice, so simple to implement, is rarely seen anywhere, even on large commercial projects. 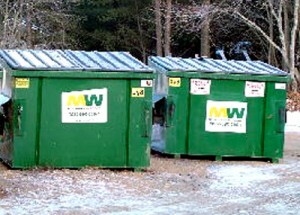 Using 2 smaller dumpsters on a construction site (for a house and for commercial projects) allows the trash in one to go to the landfill and the reusable scraps in the other to go to a recycling center for reuse in future houses and projects. To NOT do it this way, means that a giant pile of trash, about the equivalent in size to the actual house being built, gets carted off to the dump (landfill). This means that any project not doing it the way proposed by this architecture firm is wasting resources, energy and increasing the carbon footprint of everything they build. This is a no-brainer, easy answer to dramatically reduce waste in America, courtesy of this architectural company. Use it! Enjoy the benefits. The HOMES ARCHITECTS ® are leaders in trying to improve the “greenness” of construction sites, while reducing the carbon footprint of their projects and of others, who want to employ their state of the art methods.